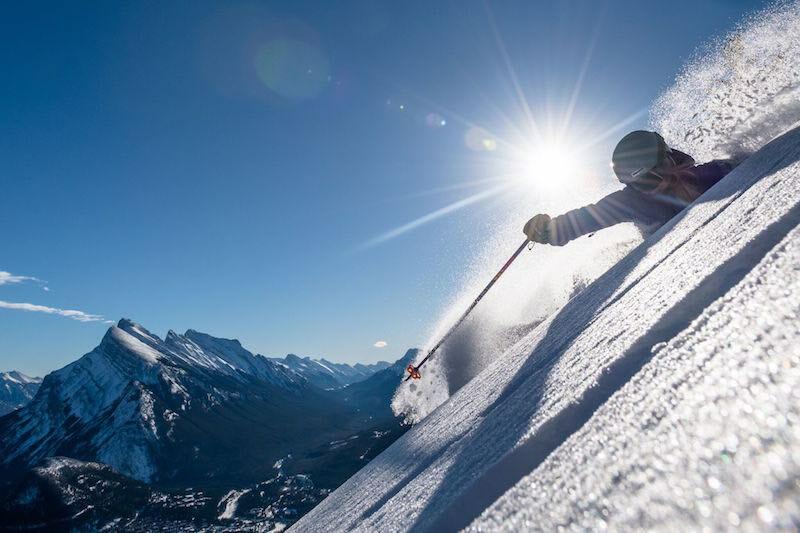 If a ski trip to Banff & Lake Louise is on your bucket list, or you’re thinking about where to use your 19/20 Ikon Pass or Mountain Collective Pass, getting a jump on your vacation plans can pay off in spades. Early birds really do get the worm here. Here’s how you can save money, stress less and get the best by booking early. 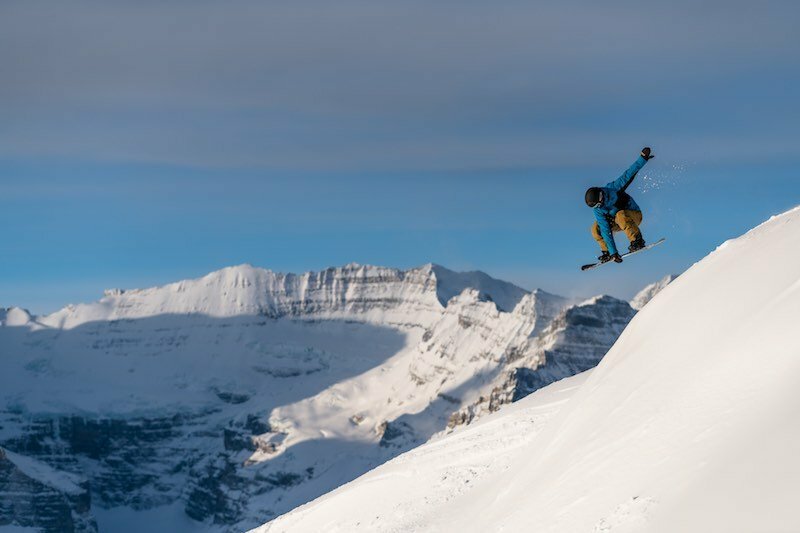 For great deals and big savings in Banff and Lake Louise, it pays to book early and bundle your accommodation and lift tickets together as a package. 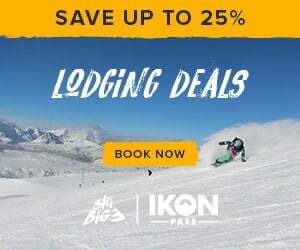 Insider tip: if you are an Ikon Pass or Mountain Collective pass holder, you are eligible to access these same Early Bird accommodation deals. Book by March 31, 2019 and save up to 45% at select lodging properties. Booking early means getting what you want. In Banff and Lake Louise, the most popular lodging options sell out with lightning speed during peak periods. Whether it’s a specific condo, a certain bed configuration, or a sought-after room type, when you book early you get to choose from the best of the best. It could mean the difference between a bigger room, a better suite, or a grander view rather than settling for what’s available at the last minute. 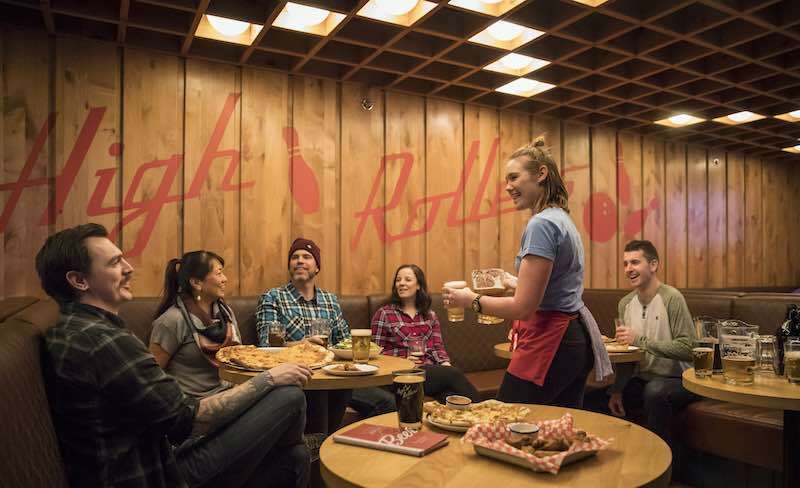 Insider tip: if you’re considering a condo in Banff and Lake Louise this Christmas, book as far in advance as possible – many specific lodging options sell out by the end of summer. 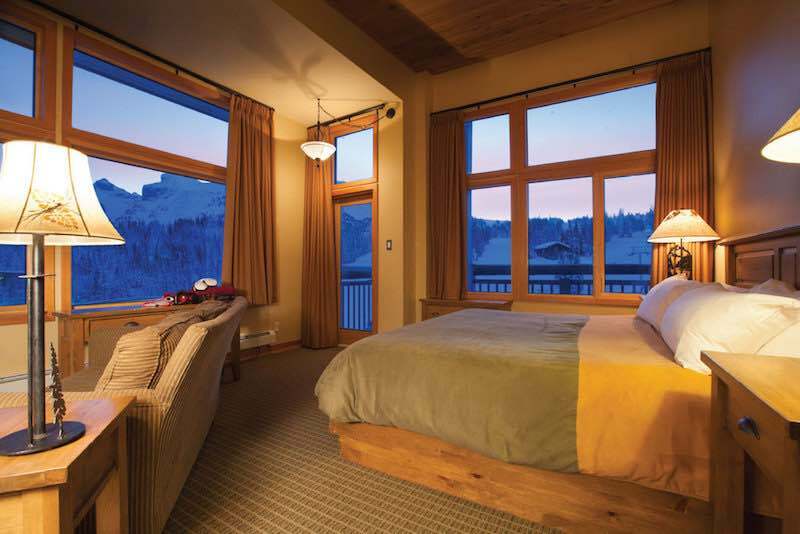 Goat's Eye Suite at Sunshine Mountain Lodge. 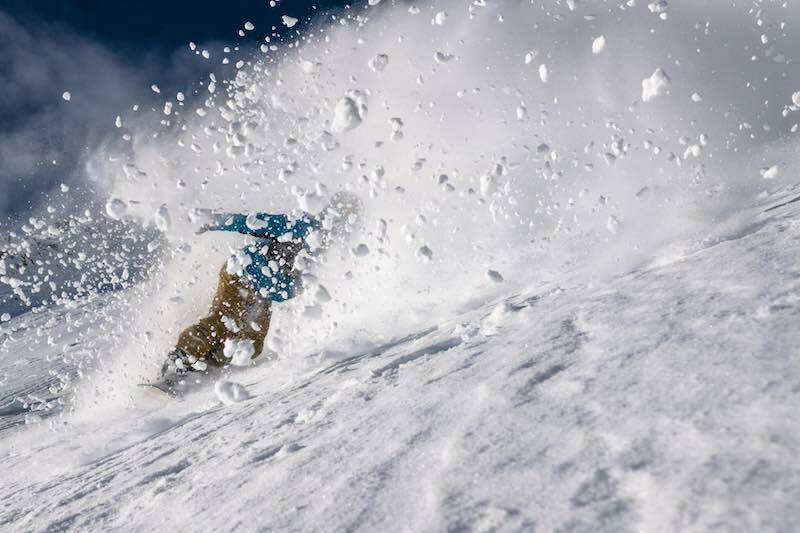 Photo courtesy of Banff Sunshine Village. Need to extend your stay or change your dates? 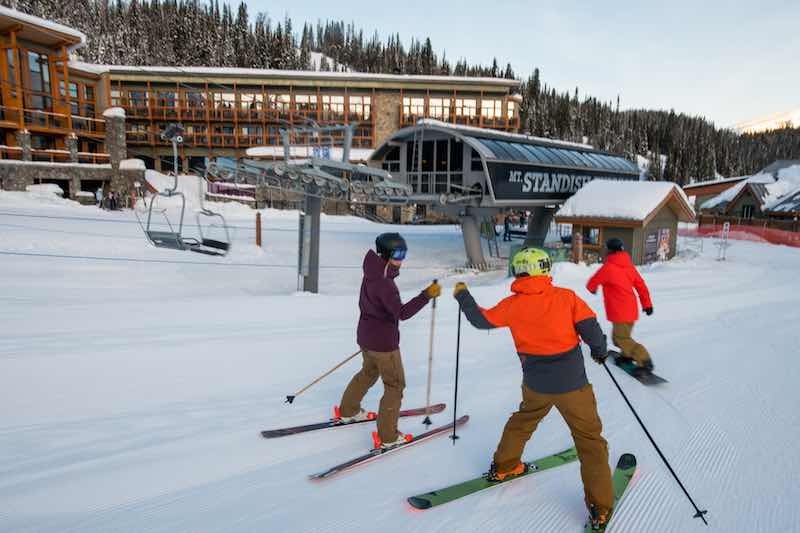 SkiBig3 offers complete flexibility with your booking so you have nothing to lose when booking early – and everything to gain. Book your vacation with just a 5% deposit and you can make changes until 14 days prior to arrival, at no extra charge. Booking early means your plans are secured, so there’s no need to stress. Anticipating a vacation is also a big part of the excitement. 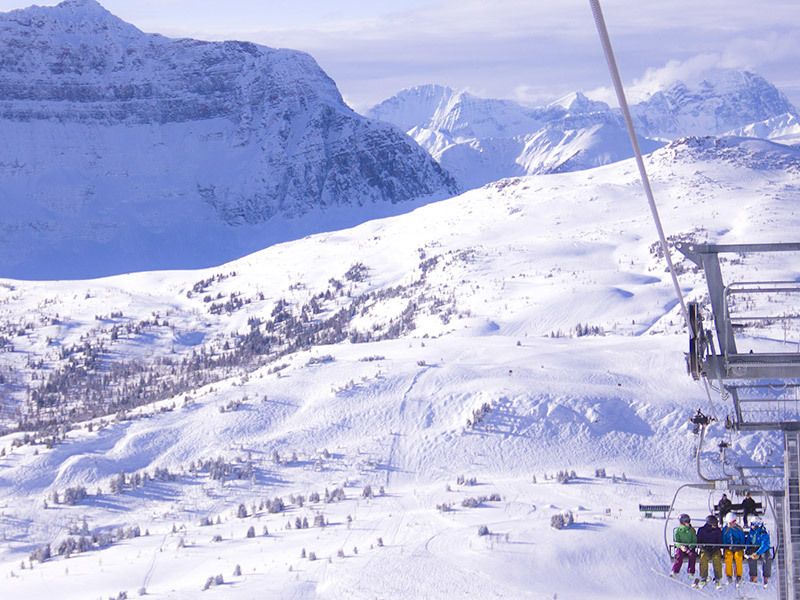 Imagining the sights, sounds, tastes (and snow) will motivate you for months before you arrive! There’s no better feeling than having a guaranteed adventure to look forward to. More often than not, flights are also cheaper when you book early. Sorting your vacation well in advance also means you can get the most out of your airline rewards. If you’re booking a flight using frequent flyer points, booking further in advance often means more options, better deals and greater flexibility. Getting the main parts of your vacation organized early gives you more time to plan the finer details and tweak them over time. When you lock in basic plans such as travel dates and accommodation early-on, you have a basic structure to work around. Then you can enjoy extra time in the lead-up to plan for bucket-list worthy activities, amazing restaurant visits and incredible photo opportunities. This way you’re organized yet flexible in case something unique comes up to slot into your itinerary. The sooner you book, the more time you have to convince your friends to join your adventure. There’s nothing worse than missing an adventure with your mates simply because it was too last minute for things to fall into place. The earlier you get the ball rolling, the more opportunities they’ll have to choose from the best deals and accommodation too. Ready to take advantage of these early bird benefits? We would like to purchase a lift ticket to give as a gift. for our 26 year old sons birthday. Can we just buy a pass without picking a date, as he would have to figure that out on his end. 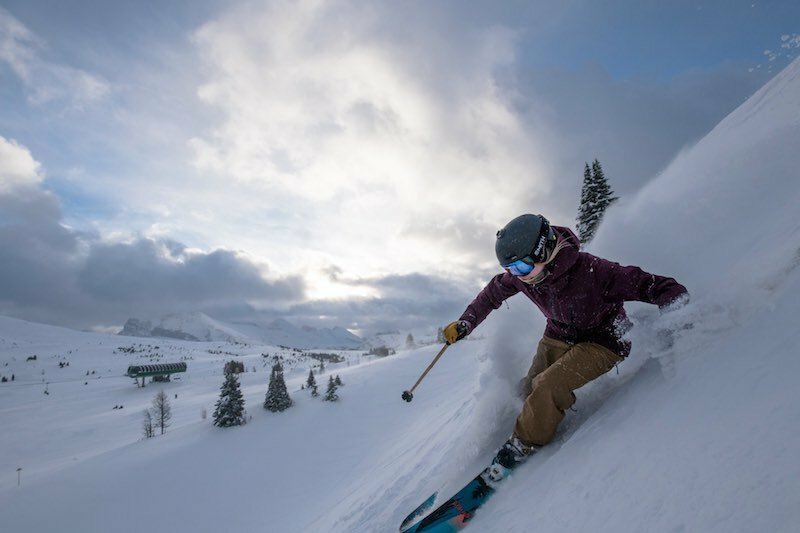 Hello Heather – please give our Res Agents a call at 1-844-754-2443 – they are the best to help you sort out this request and get that lift ticket purchased for your son.